Other Modalities Practised: Feng Shui, 9 Star Ki, EMF survey, GS, Space Clearing, teaching of all above. Olga Tomic has practised the application of Feng Shui principles for over 25 years. Qualified in Feng Shui since 2011, she has worked with a varied client base. Additionally Olga has qualified in undertaking surveys with the aim of creating a Healthy Home/Work environment, providing solutions to reduce the effects of Electromagnetic fields and Geopathic Stress. She has a keen interest in sharing her own knowledge in a way that is accessible and immediately usable. Olga has an unfailingly positive outlook on life and is solution focused. She is passionate about helping others achieve a healthier and happier environment in which to live and work. Frédérique Cooke has been involved with T´ai Chi, Chi Kung and Feng Shui, alternative therapies, and varied aspects of Oriental culture for over 30 years. She qualified as a Feng Shui Practitioner in 1999, and has practised and taught Feng Shui, Earth Healing and Space Clearing since then. She was for several years on the Feng Shui Society Committee, and the Standards and Accreditation Panel Coordinator until 2008. 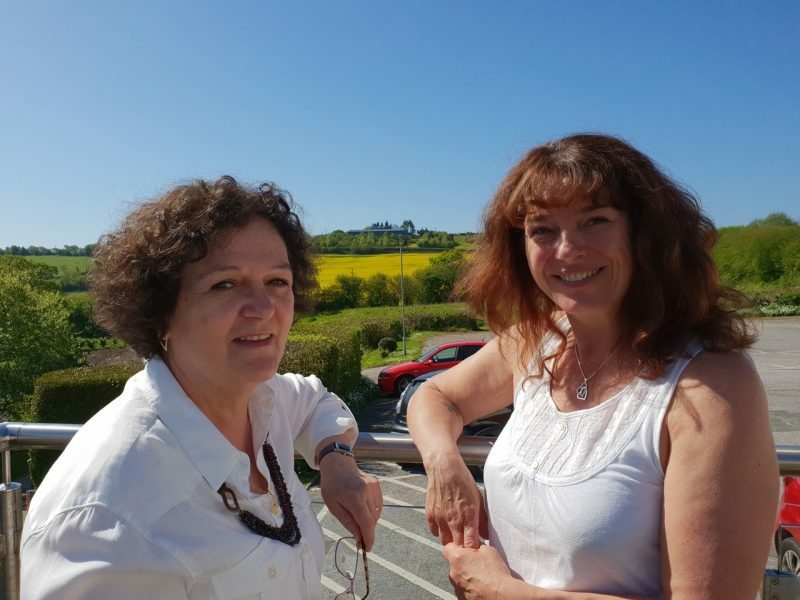 Frédérique and Olga (Feng Shui Practitioner and Healthy Home Consultant) have teamed together to found Yinliving Training and Consultancy to share their knowledge about how our environments impact our health and the quality of our lives, and what we can do to enhance the spaces we live and work in. At Yinliving, we recognise that there are many aspects to Feng Shui, and part of the skills as consultants is selecting those applicable to a particular client need - whether it be a business or private individual. Our practice is based on traditional Feng Shui concepts, while we consider that ancient principles need to be adapted to modern life and conditions, thus making our consultations relevant and accessible to our times and culture. We firmly believe that any advice offered must be made clear, easily understandable, justifiable and above all something the client can realistically act upon. We offer two types of consultations: traditional Feng Shui, and Healthy Home consultation (Electro-Magnetic-Fields and microwave pollution checks and remedial advice, treatment of Geopathic Stress and Space Clearing). Key to any consultation is the belief that a healthy environment is paramount - therefore we always advise to add a Healthy Home audit to the traditional Feng Shui survey. Please see details on our website. Frédérique and Olga are professionally trained, registered and insured, and uphold the highest standards and ethics.